Lars Uhlin works as an Educational Developer at Karolinska Institutet and Linköping university as well as Mälardalen university. He has a background in Nursing and has long experience of Health Care Education and Problem-based learning (PBL). For the last 20 years he has worked with educational development in different settings both on the national and international arena. He is also coordinating a national/nordic network for PBL and is a member of steering group for the swedish network for Information Technology in Higher Education (ITHU). Some of Lars’ main focus areas are professional development and educational design within a framework of problem based-, interprofessional- and online learning. Maria Kvarnström works as educational developer at Karolinska Institutet, Stockholm, Sweden. She has a background as Biomedical Laboratory Scientist and research in the medical field before working full time with education. Maria has an interest for online learning and how to manage the challenges for facilitating learners when locating education to an open online learning environment. Further she has a strong interest for PBL, started already when being a student at The Faculty of Health Sciences at Linköping University, and is very interested in investigating how to work with PBL online. 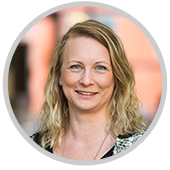 Lotta Åbjörnsson works as an educational developer at the Division for Higher Education Development (AHU) at Lund University, Sweden. With a background in Physiotherapy and a Diploma in Physiotherapy Education she has worked as a teacher mainly in Physiotherapy programmes employing Problem Based Learning (PBL) as their method of instruction. Her keen interest in eLearning and the digital world is of a rather recent date and it is with a fair bit of reluctance she has been able to convince herself of the usefulness and discover the inherent joys hiding in the nooks and crannies of digital tools and social media. 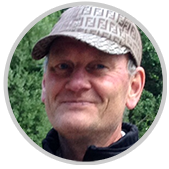 Alastair Creelman is an e-learning specialist at the Linnaeus University library in Kalmar. He is particularly interested in the opportunities that technology offers to open up education to all. He monitors developments and trends in educational technology and disseminates his findings through his blogs, Twitter and other social media as well as in published articles and conference contributions. 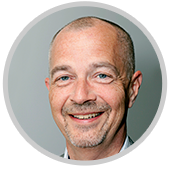 He has taught in most areas of education (school, adult education, corporate training and university) and is today active in several national and international networks and organisations as well as Nordic and EU projects. 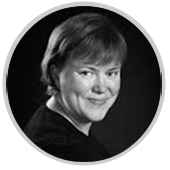 Malin Larsson Lindbäck, educational developer at Luleå University of Technology, has Masters degrees in both Psychology and Education, which she finds to be a tremendous asset working as a teacher. She has taught psychology related subjects in most areas of education (school, adult education, corporate training, higher vocational training and at university). Previously inexperienced and somewhat reluctant in the field of blended learning and digital teaching, she took on the challenge in the ONL course during autumn 2016 – and as it turned out to be an enjoyable journey she was back already during spring 2017 as a co-facilitator! Her conclusion about ONL-experience is that it is not only stimulating her never ending curiousity of new knowledge and new aquaintances, but also making her realize that digital tools and social media can actually be useful both for learning in general and developing as an individual. Therefore very much looking forward to returning as a facilitator for ONL181! Ulf Olsson is a Ph.D. and Educational developer at The Department of Computer and Systems Sciences and Centre for the Advancement of University Teaching at Stockholm University. He teaches professional development courses for teachers and his main interest is implementation and how to utilize IT in higher education. Current research project is about teachers going public in open education. He is also running a joint academic – business project about learning analytics. 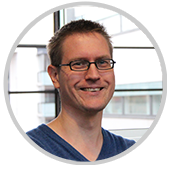 Filip Levälahti works as an e-learning coordinator at Arcada, University of applied sciences in Helsinki, Finland. His job is to support and develop the teachers’ competences in online and blended teaching and to coordinate the pedagogical infrastructure in the campus. Filip also teach a course in digital literacies for all new students at the university. He follows the expression “good online pedagogy begins with good pedagogy, period” (Paul Creasman) and is eager to find out how good pedagogy can be applied with modern technology. Gizeh Perez Tenorio loves research and considers herself a passionate educator. For many years she has mentored students at Linköping University where she also practiced Problem Based Learning as part of the PhD program: “PBL, for me, was hard at the beginning but brought a lifelong reward at the end”. During ONL162 she discovered the power of PBL online and became fascinated by the course design and pedagogy. In the future she would like to understand more about what makes a successful collaboration in virtual teams, to design pedagogical material for digital courses and to learn MOOC design. Victoria Owen works as an Academic Support Manager at Varsity College (an educational brand of The Independent Institute of Education, the largest private provider of higher education in South Africa). Victoria works with a team of Teaching and Learning specialists across a national footprint of eight higher education campuses as they drive adoption of blended learning at Varsity College. Victoria has a background in teaching Economics to undergraduate students. Victoria has a specific interest in current trends in teaching and learning in online and blended environments. Jörg Pareigis is Assistant Professor in Business Administration and researcher at CTF, Service Research Center at Karlstad University, Sweden. Besides his research, Jörg is very involved in teaching at the Karlstad Business School, where he is responsible for the course Marketing Strategies and Understanding Customer Experience. In addition to his role as program manager of the International Business program, he leads the externally funded WISR16 and WISR17 course development projects. 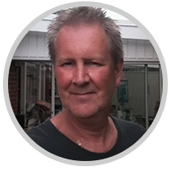 The purpose of the projects is to develop open online graduate courses for professionals in the private and public sector based on strategically important research centres at Karlstad University, where he is also working as educational developer. 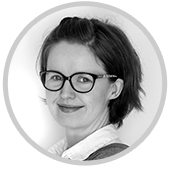 Maija Lampinen works as an educational developer at Aalto University, School of Electrical Engineering, Finland. Her background is in educational sciences. She is a trainer in the university pedagogical courses at her university. Additionally, she participates in teaching development projects and teaching competence assessments. 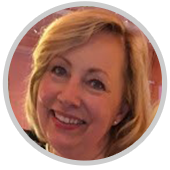 She has facilitated collaborative learning in many courses and is especially interested in designing courses and learning processes in blended learning environments. 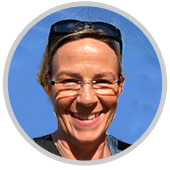 Elaine Sjögren works as an educational developer and teaches in Higher Education and Problem Based Learning for university teachers at Linköping University. 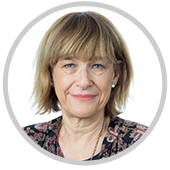 She also teaches Medical Education for master students at the Faculty of Medicine and Health Sciences, Linköping University. The last 18 years she has taught students with PBL as a method and approach, but not previously online. Last year, she participated as a student in ONL172. 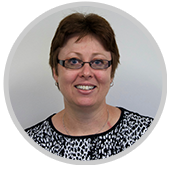 Elaine is also involved in some development and research projects with focus on reflections in portfolio for students, critical friends and equal opportunities aspects in course and program syllabuses. Further, at national level, she assesses teaching portfolios, when someone is recruited to or promoted for an employment at universities in Sweden. Diane Pilkinton-Pihko is a linguist, who is teaching English to non-native speakers at Aalto University in Finland. She did her graduate work at the University of Wisconsin-Madison, and her post-graduate studies at the University of Helsinki (Finland). 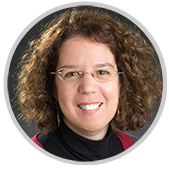 Her research interests include English as a lingua franca, recognition or prior learning, and content and language integrated learning. Her main work involves teaching oral and written communication to students in the fields of engineering or industrial arts. In recent years, developing and teaching courses as blended or online have become a central focus. 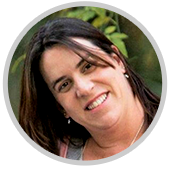 She designed and taught her first fully online course in 2011, and since then has continued to develop herself and her courses for e-learning. 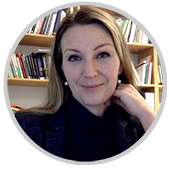 Jaana Suviniitty works as a Lecturer of English at Aalto University, but every spring she also teaches a university pedagogics course on multicultural competence. Jaana has a PhD on English philology and 154 credits worth of pedagogical studies from teacher training to drama pedagogy. Her dissertation (the University of Helsinki, 2012) explored lectures held in English as a Lingua Franca and how the presence/absence of linguistic interactional features in them influences student perception of those lectures. In addition to her regular duties, currently she is developing an online course eWriteIt! as part of the Aalto University development project, Aalto Online Learning A!OLE. Having enjoyed ONL172, she’s looking forward to sharing the facilitator role with her colleague, Diane Pilkinton-Pihko. Lotta Fröjdfeldt is an academic developer at Mälardalen University (MDH), Eskilstuna, Sweden. 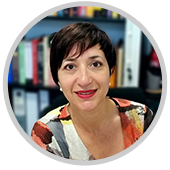 She focuses on the pedagogical aspects of ICT in Higher Education. 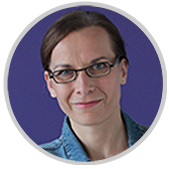 Lotta is experienced both as a system developer, 15 years, and as teacher, 7 years, and has worked with academic development since 2015. She is interested in, and is now studying for a masters degree in online teaching and learning in higher education. Lotta was a participant in ONL172 and will now facilitate, but also coach and implement this course at MDH. Clodagh Mannion-Nash has been with Varsity College since 2007. Clodagh lectured for 9 years with Varsity College specialising in Criminology and since then has moved to distance education. At present Clodagh is the Programme Success Tutor for the BCom distance programmes and lectures the online research modules. Clodagh’s particular interest is on how students use the online space and how this could be improved to allow for a richer and interactive learning experience. Clodagh found the previous ONL experience as a student was exceptional, the experience to share views, experience and opinions with students all around the world and using the PBL method allowed for a rich learning experience. 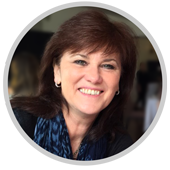 Anne Whaits joined the executive team at Educor in May 2018 as Chief Academic Officer after having spent most of 2017 with Academic Partnerships – an American Online Programme Manager (OPM) Business in partnership with public universities in South Africa to take a portfolio of their degree programmes 100% online. 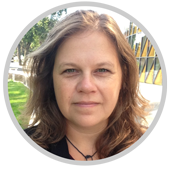 Having facilitated several iterations of ONL before, Anne’ s current action research interests include new learning ecosystems with particular interest in developing online facilitation skills amongst academics and digital literacies amongst students. Educor has three distance education brands and five contact delivery brands across South Africa with the number of blended and online offerings growing. 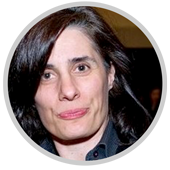 Sinéad Whitty is Director of Learning at Faculty of Capacity Development, Ireland. Previously, she was Pedagogy Coordinator at the Department of Medicine in Karolinska Institutet, where she was responsible for the design, development and delivery of online, post-graduate courses. 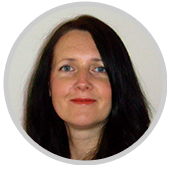 Sinéad has twenty years’ experience teaching face to face, online and blended. She is an advocate for technology that supports good teaching and learning practices. Sinéad may be addicted to ONL, having participated in four previous iterations. She is delighted to co-faciliate again on ONL181. 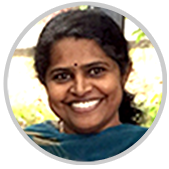 Kiruthika Ragupathi is an academic developer with the Centre for Development of Teaching and Learning (CDTL) at the National University of Singapore (NUS). 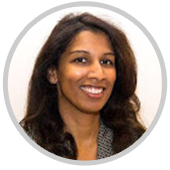 She has a background in Engineering and has worked with academic development since 1997. Her research interests are in analyzing pedagogical issues surrounding the integration of educational technologies into teaching and learning; understanding the learning processes and outcomes for learners engaged in technology-supported tasks; and in tracking and supporting learning in interactive learning environments. Her current research focuses on using student evaluation of teaching to enhance teaching practices and policies; in optimizing instructor interventions in online discussion forums to enhance the student learning experience; and also in studying the impact of gradeless learning on student motivation. Kiruthika took the ONL171 journey, co-facilitated on ONL172 and is now back to share her experiences to those of you in ONL181 . 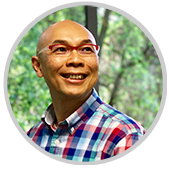 Alan Soong is an Associate Director (Learning Design and Research) at the Centre for Development of Teaching and Learning, National University of Singapore. He has been working in the area of academic development and the use of ICT for teaching and learning in higher education since 2002. Alan’s research interests include academic development and blended learning in higher education. He has also been actively serving as a member of the executive committee of the Australasian Society for Computers in Learning in Tertiary Education (ASCILITE) since 2012. Alan participated in ONL171, co-facilitated ONL172 and is returning to ONL181. Paula Morais is currently involved in a project, funded by the EU, to provide online accredited courses and MOOCs to Syrian refugees in Jordan and Lebanon, and to Jordanian disadvantaged youth. 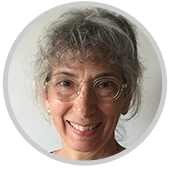 Paula works as an international consultant and advisor on open education, open data, e-learning, distance education, mainly in developing or middle income countries, some of them in fragile contexts, in Africa, Middle East, Caribbean, Latin America. She has been working with the European Union, DFID, UNDP, International Telecommunications Union, World Wide Web Foundation, Governments and Higher Education Institutions. Charlotta Hilli works as a university teacher in general and higher education at Åbo Akademi University in Vaasa, Finland. Teaching future educational leaders and administrators and teachers in higher education. Her research interests are learning and knowledge in virtual learning environments, especially distance and online learning. She’s a post-doc researcher in the project HELLA (Higher Education Learning Lab) a research based development project on higher education pedagogy that is developing and piloting a new multilingual 60 ECTS study module in higher education for the needs of the universities and the universities of applied sciences. 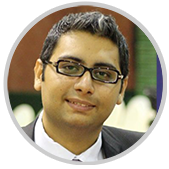 Raheel Lakhani works as Manager for Digital Learning Projects at an international university press. He has worked as an Educational Designer for Blended Learning at The Aga Khan University, Pakistan, which has campuses in East Africa and London as well. He provides services for course design, which includes providing faculty development facilitation and pedagogic input to faculty members in collaborative (re-)designing and offering of the blended learning courses. He is a recipient of High Honors in Masters of Education from The Aga Khan University. He participated as a digital innovator in an academic scholarship program ‘Social Innovation in Digital Context’ at Lund University funded by Swedish Institute, where he explored the development of a digital storytelling approach for promotion of pluralistic and creative expression. He holds Masters of Arts in Technology and Social Change from the same program. He is also a self-taught photographer, published in two coffee-table books and participated in few local and international competitions / exhibitions. His interests include eLearning pedagogy, learner’s autonomy, freedom of expression and pluralism, visual/textual narratives and digital collaborations. 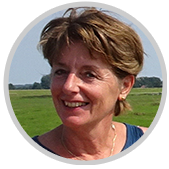 Francisca Frenks works as an independent social entrepreneur at XWebinar.nl and 1OCEAN in the Netherlands and abroad. She has a background in innovative learning and closing the gap between learning and working. She also worked for more than ten years as an independent graphical designer. The last eight years Francisca focused on online collaborative learning and working. She works with all kinds of staff-members in organizations, in educational institutions, with marketing professionals, youngsters, elderly people and citizens to collaborate and learn online. Her challenge is to work effectively with a group online, where everyone is happy and motivated and feel free to participate, respecting everyone’s differences and feel the joy of diversity in the group. Francisca was a participant in both ONL152 and ONL161 as an Open Learner. She joined the team as co-facilitator on ONL162 to learn more, and now returns for a second helping as co-facilitator on ONL181. Esther Ventura-Medina works as a lecturer at the Department of Chemical and Process Engineering at the University of Strathclyde, UK. She combines her engineering background, educational training and experience using student-centre pedagogies to support the development of professional skills in engineering students both face-to-face and online learning environments. Her research interests have focused on investigating teamwork and problem solving skills and the role that interactions have in student-centred settings. In her own practice she uses PBL as the learning method and is increasingly aware of ‘the digital’ which has taking her to explore further using online tools for collaboration in learning. 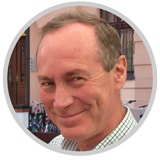 Tore Nilsson is a senior lecturer in language education, Stockholm University. With a background in English linguistics he now works with foreign language teacher education, in-service training of language teachers and research in language education with a special interest in pre-service teacher cognition and professional devlopment. He has a keen interest in pedagogical development issues. In 2017 he co-ordinated a year-long project at his department with a focus on furthering digital literacy and the use of digital tools in language teacher education. During 2018 he is the pedagogical facilitator for the implementation of a new LMS at his department. Tore participated in ONL171 and is now returning as a co-facilitator for ONL181. My name is Tania Lösche. 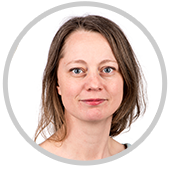 I´m currently on maternity leave but I work as a education administrator for the faculty of Arts and Humanities at Linnaeus University. I have worked as a French language teacher for adults for several years and as a librarian at both Linköping university and at Linnaeus university in Sweden. I was a participant in ONL172 and I´m looking forward being a co-facilitator in ONL181. 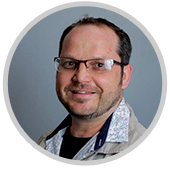 Janus Snyders is a Media Studies scholar and Programme Manager at the Independent Institute of Education’s Varsity College in Pretoria. His duties supports lecturers with the application of various web and social media tools to enhance online learning. He also lends academic support to students pertaining to study methods, time management and (the dreaded) referencing. Malin Ekstrand works as an ICT-librarian at Danderyds University Hospital in Stockholm, currently focusing on developing online education aimed at medical staff. With a background in arts she finds creativity a great source of inspiration, especially when working with digital pedagogy. She participated in ONL 172, and is very happy to return to ONL181 as a co-facilitator. 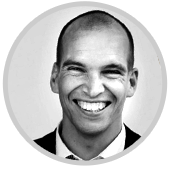 Jonas Bäckelin is Project Manager and Education Specialist at the City of Stockholm Education Administration with focus on the implementation of IT Projects and develops instructional materials and pedagogical support systems. He graduated in ONL172 and also participates in Microsoft in Education Innovative Educator Expert (#MIEtrainer) Program and in Google for Education Certified Trainer Program (#GoogleET) as trainer of fellow teachers. 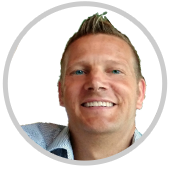 Jonas is volunteer coordinator for Edcamp Sweden (#EdCampSE), which organizes free participant-driven conferences within educational technology (#EdTech). His master thesis in didactics at Stockholm University focuses on Teachers Open Online Learning for Professional Development.